The QuickDraw 300 DLX vape pen is in many ways like a Swiss Army pocketknife. There is a tool for every job, but the downside is, much like the knife, many of the vape’s small tools are more troublesome to use because of their size and capability. Upon first impression, it’s clear that the people at QuickDraw spent time to design and create a positive retail experience for their customers post-purchase. Product layout, packaging and initial presentation are all snappy and smart. But you’ll see myriad parts and chambers after opening the box. The DLX, which retails for $150, is the same body as the Quick Draw 300 but with three separate, magnetically detachable canisters for dry herbs, liquids and concentrates. 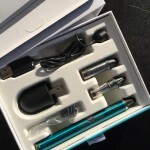 (Review product was supplied by VapeWorld.) Each canister is easily removed from the aluminum pen body and contains either a refillable reservoir or bowl for the specific type of cannabis you’re using. The first thing I was surprised by: How small each bowl is. 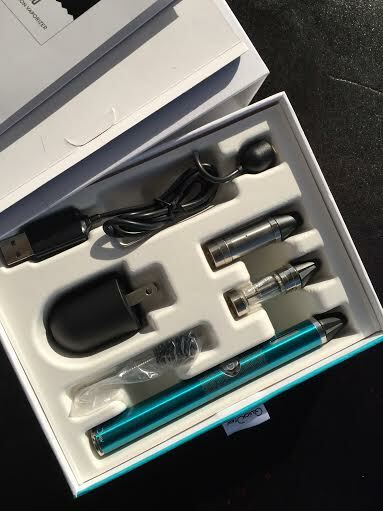 When I started testing the vape I had trouble loading each canister due to the size of the opening. The cartridges are all stainless steel, so they can get very hot. The heating element in the extract chamber was totally exposed, giving me the impression that I would be cleaning it often. The markings on each chamber are small and can be somewhat hard to read, and if I were a first-time user of this type of technology I would want a more detailed user guide and clearer instruction on how to smoke and vaporize each type of cannabis. There are no temperature settings with the 300, as the company claims that the temperature settings are “pre-programmed” with the individual cartridges. It appears that all three cartridges use a similar nickel/aluminum-heating element, but when using the cartridge for blends there is an aluminum plate separating the heating element from the actual herb, so the temperature is slightly lower to prevent burning. Personally, I don’t know that this pen is legitimately pre-programmed. The temperature differences appear to come from exposing (or covering up) a similar heating element in all three cartridges. With that said, I had no problems with the functionality of the pen. All three chambers warmed properly and produced vapor. The 300 uses a magnetic charging system that connects via USB, which is on par for similar devices. 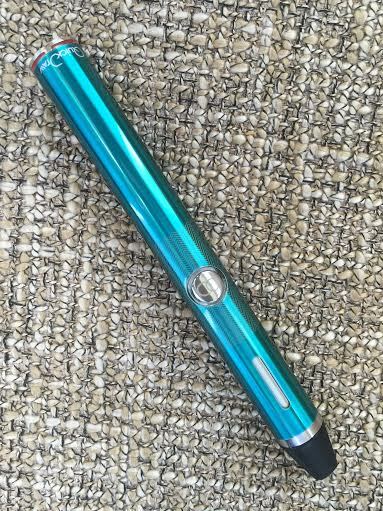 Internally it is a 650mAh battery, also common in vaporizers and e-cigarettes, which lasts 6-8 hours. (It takes 1-2 hours to fully charge, with a 3-4 hour initial charge.” The LED light ring at the bottom of the pen will flash red when it’s ready for a charge. These times will vary based on your charging source, but the QuickDraw 300 does have a microchip that prevents overcharging. If you are looking to easily change between the types of cannabis you vaporize and smoke, the QuickDraw 300 DLX may be a good fit for you. If you find yourself using a specific type of cannabis consistently with your vaporizer, you may want to consider the regular 300 versions for $50 less.